There’s a new weight loss product in town. It is called Mega-T Probiotics. This supplement claims to efficiently help you lose weight by using green tea and probiotics in a single formula. With this blend, you’re said to experience weight loss results while your overall health is guaranteed. Of course, these are just assertions. All weight loss products make strong and bold claims about how their products are the ultimate solutions to being overweight and obesity. The truth is there are only a few that really works. As for Mega-T Probiotics, let’s check if this supplement is worth the time and money. The active component in this supplement is green tea, just like other products of the company Mega-T. Green tea is believed to enhance the oxidation of fat in the body. With this, the fat becomes energy to be used instead of just being stored as fat. Moreover, the manufacturer also says that the epigallocatechin gallate or the EGCG in green tea can also shield the body from free radicals, which if not stopped, are detrimental for your health. Given this, Mega-T went on to mix green tea with probiotics with the purpose of developing the now Mega-T Probiotics supplement. Because of the probiotics involved, this product is said to help with the absorption and assimilation of carbs and proteins, so that weight loss is further facilitated. Mega-T Green Tea with Probiotics & Calcium: This has 100mg of calcium to promote healthier bones. Mega-T Green Tea with Probiotics & Antioxidants: This has acai berry included in the formula as an added antioxidant. The official site of the product says that when used alongside proper nutrition and regular fitness routine, Mega-T Probiotics can make a difference – 2 lbs per week at least. Just take one pill of Mega-T Probiotics 20 minutes before eating. As the company wants to help you with your weight loss management plan, you can find 10-week meal plans and fitness regimens posted on the official site. With this, the manufacturer highlights the importance of healthy diet and regular physical activity to help you lose weight, in addition to taking their product. The supplement is available in various packages that contain 30, 60, 90, and 100 pills. On the other hand, we learned that the Mega-T Probiotics products were not included in the ordering/purchasing page, just the green tea-based products, which have the price range of $7.29 to $16.79. It was also not indicated whether there was a refund or not. You may ask the company directly by calling at 800-451-5773. Despite Mega-T Probiotics’ newness in the market, it’s already widely available in many stores like Amazon, Walmart, Walgreens, and Drugstore.com, to name a few. Is Mega-T Probiotics the Real Deal? If you’ve already been exposed to various weight loss products by making assessments through extensive research, you’re possibly just generally hesitant about these supplements despite their promising claims. Is this the case with Mega-T Probiotics? Let’s find out. Firstly, the company behind Mega-T Probiotics offers an assortment of weight loss products which are composed of various components like Green Coffee Bean Extract, Raspberry Ketones, and items that are Glucomannan-based. 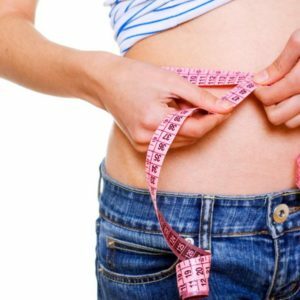 While these ingredients are surely familiar among dieters, they don’t have sufficient clinical proof that supports the claims that any of these components can really help with weight loss. This includes green tea. On the other hand, the good bacteria in probiotics can provide health gains in terms of stabilizing your digestion and fortifying your immunity and there’s adequate clinical proof to substantiate this. While these surely are good for the health, it doesn’t mean that better digestion significantly means weight loss. So, there’s that hole. Also, Mega-T Probiotics’ manufacturer CCA Industries, Inc. has been in the industry since 1983, but their probiotics seem to be relatively new. As a result, their probiotics don’t have a lot of consumer feedbacks on the web. Their other products typically get varied testimonials. The negative reviews focus on their products’ ineffectiveness. There were even some who said they put on weight instead of the opposite. There were also complaints on the side effect of being jittery due to caffeine. So, if you’re highly responsive to stimulants like caffeine, Mega-T products are not ideal for you. Lastly, there’s no product label or information accessible on the product website. There isn’t a comprehensive list of components, either. Hence, there’s no way for prospective customers to review their ingredients as part of making an informed decision. Though we found Mega-T supplements on the manufacturer’s primary site, there were no probiotics supplements included as of this writing. Final Verdict: Is it Effective? It’s great that Mega-T Probiotics don’t cost so much compared to many weight loss products. As for its efficiency, there are still doubts because the clinical evidence that shows green tea being helpful to weight loss is lacking and weak. Even probiotics are not clinically proven to encourage weight loss, since better digestion doesn’t necessarily mean losing of weight. All things considered, it’s better and safer to primarily rely on a healthy eating habit and a regular fitness regimen to help you shed pounds. That is why it is important to really be critical of these products before deciding to invest on them. It is crucial that you evaluate their ingredients, the company that makes them, their potential side effects and whether there are clinical studies and trials involved. It can also be helpful to read customer reviews to get to know a product further.